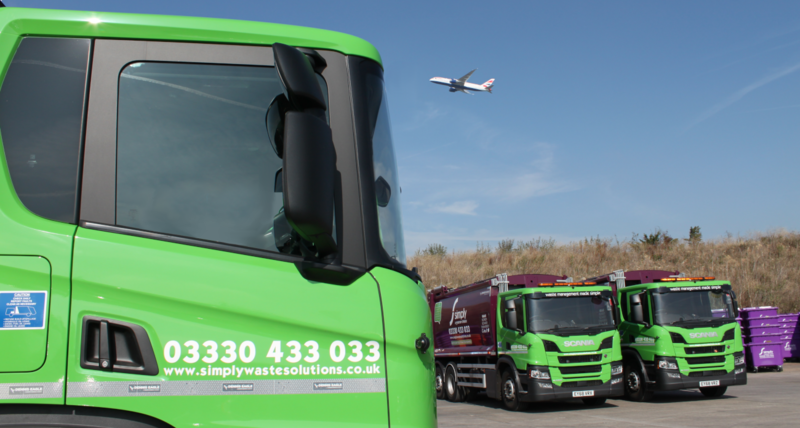 Simply Waste Solutions is one of the largest privately-owned waste management companies in the UK. Since it was founded in 2006 it has grown in leaps and bounds and in the last two years increased its driver workforce by 35% and had over 99% service success rate. In the last year alone, over £100,000 has been spent on employee training and development. Now more than ever people are wanting to know where their waste is going and how they can reduce it. We have waste experts that can give you advice on which waste and recycling services would benefit your business best and how else you could minimise your business’ carbon footprint. We always offer full transparency as to what happens to your waste. Our main depot is in Stanwell (West London), less than a mile away from Heathrow Airport’s perimeter fence, but we also operate out of a depot in Oxfordshire as well as Bristol. We pride ourselves on having our customers at the heart of everything we do. We’re used to working with a range of customers from independent shops to national names. If we don’t operate in your area, we work with trusted partners all over the UK to offer national coverage, these partners are carefully picked, and we ensure that they share our environmental and customer service ethics. Our services include waste bags, two and four wheeled bins, skips, Rear End Loaders (REL’s) and Roll On-Roll Off’s (RORO’s). We also offer, for rent or hire, compaction machinery such as balers and compactors. If you think that your business would benefit from using us as your one stop waste management company, get in touch with one of our waste experts. This is made as simple as possible for you, you can talk to us via live chat on our website, email or phone. If you have any questions and aren’t ready to talk to someone, check out our FAQ page as your answer might be there.